The truth is “Nothing ever came without work – Nothing ever happens behind fear. It’s life, just live your dream. There’s an up and coming rapper from the DMV area that lives this truth. 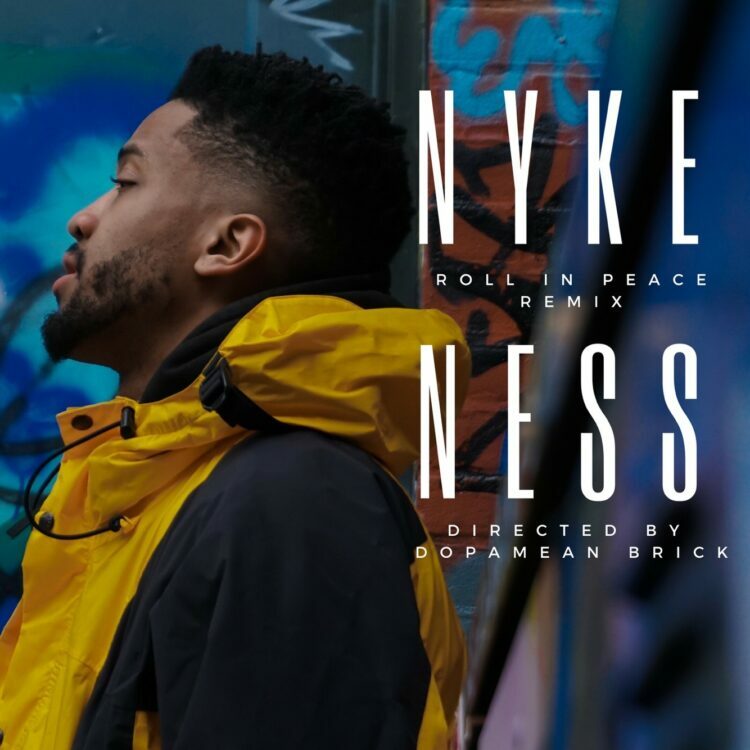 The artist that goes by the name of Nyke Ness presents his version of “Roll In Peace.” His two-minute freestyle version displays his passion for metaphors and witty wordplay and the production by ABID. With only two weeks of Soundcloud streams ranking over 1100, it has people screaming – “Kodak who?”. Repping the ‘Dopamean’ brand, Nyke Ness, and the DME Team aim to take 2018 by storm!! This group of collective DMV talent pride themselves on using witty punch lines and creative delivery. This regimen has penetrated the ear canals of their fans; just as many of their favorite emcees have done before (Biggie, Tupac, Lil Wayne, Big Sean, Drake, Vic Mensa, Etc.). With that said, Nyke Ness would like no comparisons as he aims to create his lane of his own with his spin on the new age rap game. His creative flows and magnetic delivery will command the attention of all that listen. Be sure to connect with Nyke Ness on all social media circuits. He’ll be coming to an ear canal near you.